Welcome to season 14 everyone! In our contest last week's contest I gave you all a chance to caption a scene with Dean & Mrs. Dean. You did not disappoint. Close contest but in this case I thought the entry by H Rose best captured the implications - while being completely innocuous on a first read. Perfectly clean and dirty at the same time. 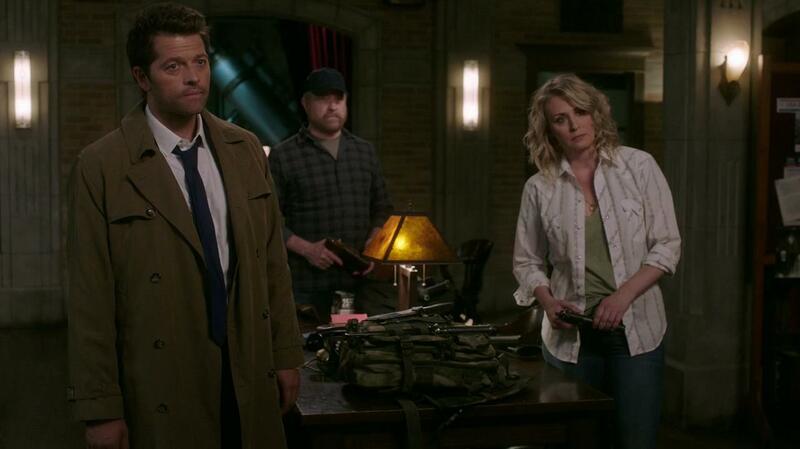 So for episode 14.02 "Gods & Monsters" let's have some fun with Cas, Mary, & Bobby. Gabriel tries to open the rift a second time. The look you get when watching a flash mob of AU hunters. Castiel: Jack, when Dean said to burn those clothes and hat, I don't think he meant try them on. 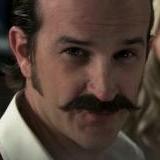 Jack: But I look dapper, don't I? Bobby: Don't make me shoot you boy.